Enlarge this poster – Click her for the PDF version. 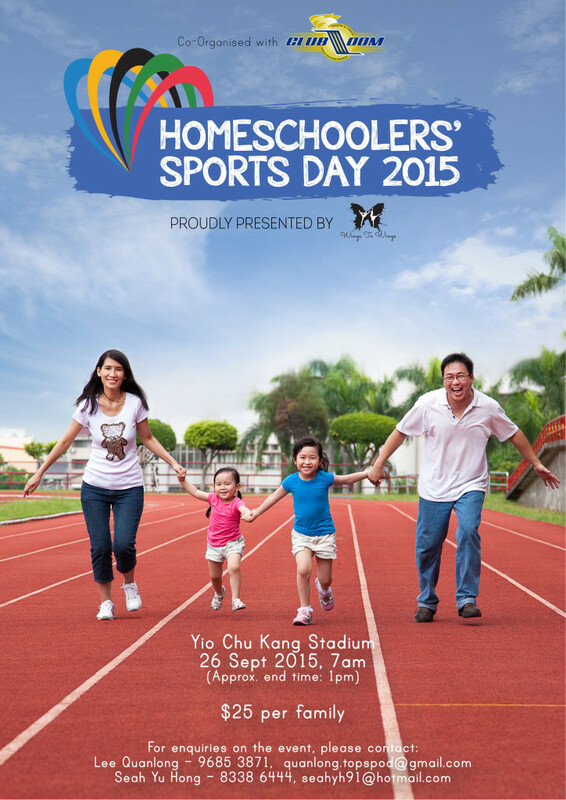 Club Zoom, in partnership with the Homeschooling Community, is pleased to be the co-organiser for the Homeschoolers’ Sports Day 2015. This is in conjunction with the 3rd Club Zoom Carnival and will be taking place on 26 Sep 2015 at Yio Chu Kang stadium from 7am to 1pm. All Club Zoom members and invitation athletes enjoy special rates of $15 per family at the event where participants can take part in a wide range of activities leading up to the grand event, the 100m century sprint. As we are teaming up with the Homeschooling Community for this event, the number of participants are limited to 500 participants. Do sign up early to avoid disappointment! For more information, please visit www.clubzoom.org.sg.